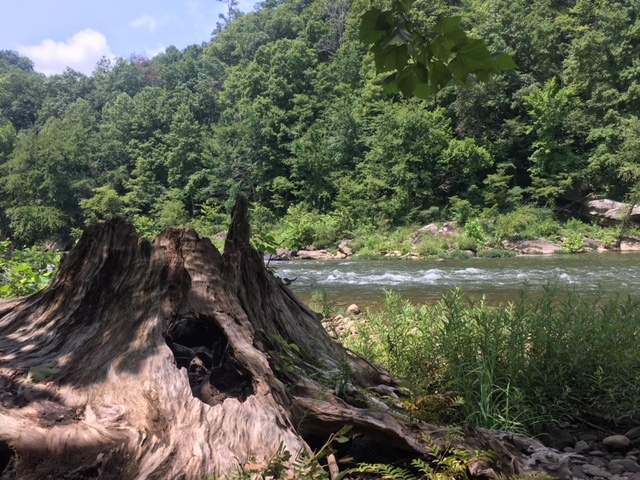 I’m currently sitting on the bank of the Big South Fork River, enjoying a quick weekend getaway with just my husband. As I take in the beauty around me (notice my picture), I immediately flashed back to 10 years ago, when my children were in elementary school. I was trying to “balance” running my business, being actively present in my kids’ lives, making my marriage a priority, and all the other “busyness” I believed was required of me. I ended up injuring my back in a way that made movement extremely uncomfortable. I truly believe this is the only way I could have gained any insight into the craziness my life had become. I had to be immobile in order to carve out time to re-evaluate the direction I was going. Things are Changing! Now What? I recently worked with a team in the midst of a major change. Their company was acquired. Everything is in flux. Questions like “Who will be redundant and let go? and “What will the ‘new normal’ look like?” were frequently posed. In the midst of this uncertainty and chaos, it was Kairos’ role was to help them have a healthy conversation to air their fears and determine a path forward despite the disruption and uncertainty. Through all of the fears that come with transitions, however, I witnessed a few universal themes play out. Recently I had the opportunity be with a small group of folks to hear from Alan Fadling, author of The Unhurried Life. We had an interesting dialog about how hurry drives us to anxiety and burnout as leaders. I had to laugh when one woman shared that her company’s word for the year is Velocity. Yikes. We had great intentions when we moved our young and growing family into a tough, inner city neighborhood. We were going to be part of the solution. We invested 10 years of our lives there. And boy do I have some stories. Here’s the thing. With all the good that we did, something was increasingly missing. It took ten years of living there and three years living other places to figure it out.